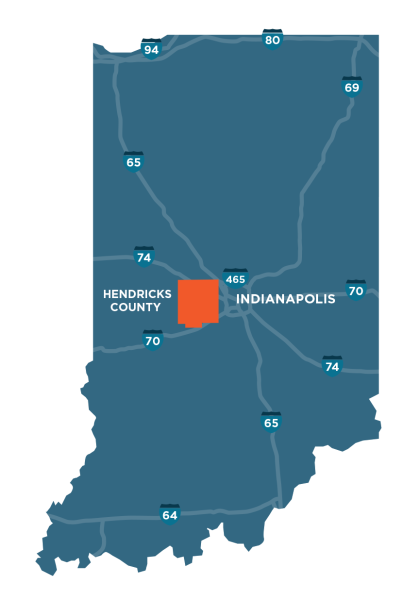 Find out why Hendricks County, Indiana, should be at the top of your location wish list for that next meeting, conference or event. Spoiler alert: you won’t believe the convenience, affordability and flexibility we offer! Hendricks County has a variety of venues, including the brand new 25,000-square-foot Embassy Suites Hotel & Conference Center. Want to see what this new venue looks like inside? Check out this Embassy Suites Conference Center 360 Video. The Hendricks County 4-H Fairgrounds & Conference Complex, an 110-acre facility with both outdoor and indoor amenities and campground accommodations is the perfect spot for special events, corporate outings and conferences. Browse through all meeting and event venue choices in Hendricks County using our convenient venue search tool. Hendricks County is next to the Indianapolis International Airport which has been named Best in North America five out of the last six years in the Airport Council International&apos;s Airport Service Quality Awards. Hendricks County is located just 7 miles west of Indianapolis. Interstate access via I-70, I-74 & I-65 makes it easy to travel to and from our many meeting venues. Learn more about what the Indianapolis Airport region has to offer to your business travelers. Not only does Hendricks County offer affordable options for meeting and event venues, there is free parking at all Hendricks County venues. And our hotels offer free shuttle service to hotels! We also have plenty of affordable hotels near the airport to accommodate overflow for larger events. Sign up for our FREE Meetings e-newsletter! We will begin sending emails in 2019. You will be able to unsubscribe from any future communications from us.